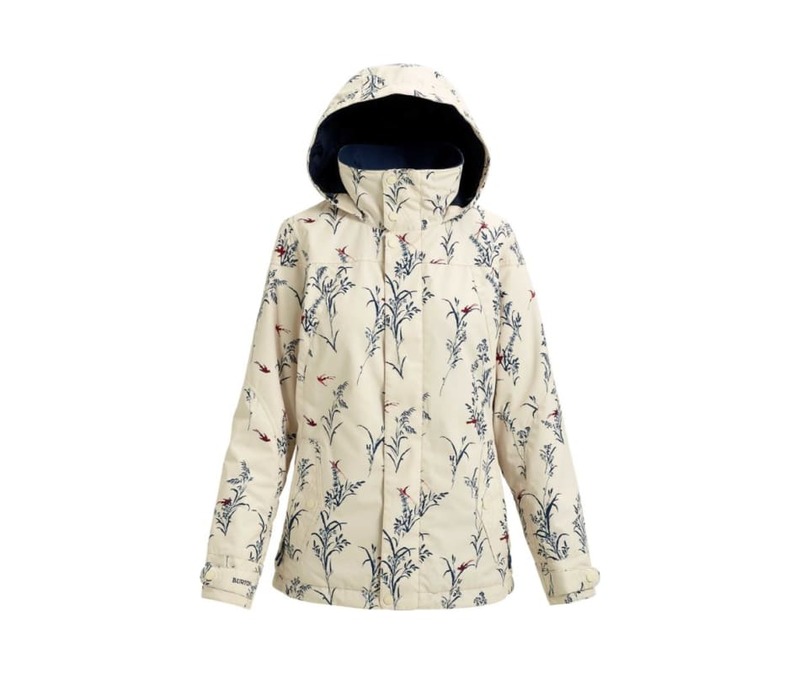 The bestselling womens Burton Jet Set Jacket combines the eco-conscious warmth of 40% recycled content THERMOLITE Insulation with a functional yet flattering slim fit for a look that pairs well with anything in your closet. Dumping snow to springtime showers are no match for the richly textured waterproof/breathable DRYRIDE 2L fabrics, which are offered in patterns ranging from classic single-colored to standout tribal. Add in the full laundry list of hidden features, including a permanently removable waist gaiter, handy pockets, and a hidden hem cinch, and youve got a jacket that is always ready for action.